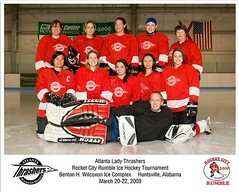 Welcome to the revamped Atlanta Lady Thrashers Website! 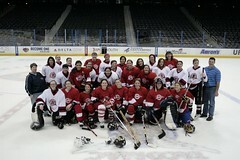 Take a look around to learn all about Atlanta’s only women’s hockey team. Then join us for a practice March 26th at 9:30pm at The Cooler in Alpharetta. All girls and women over the age of 15 are welcome regardless of skill level. Drop us a line via the Contact Us tab for more info! 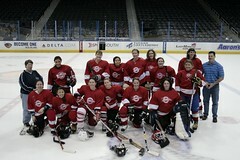 Previous Lady Thrashers Join the Gwinnett Gladiators for Pink in the Rink!